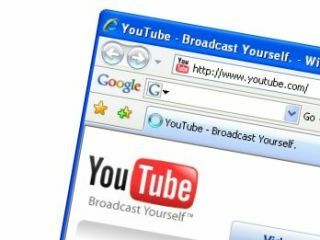 Google has announced a revenue sharing deal with movie studio Lion's Gate Entertainment to show movie clips on YouTube. The move comes as the court case between Google and Viacom over alleged copyright infringement appears to be settling down, and shows how come movie companies are embracing ways to make money from internet video watchers' desires. "There are things in our library like 'Dirty Dancing' that have been watched tens of millions of times and it will be nice to get paid for that and to set viewers in the direction of buying movies," Lions Gate Vice Chairman Michael Burns told Reuters. The deal will give viewers the chance to watch their favourite movie clips from the studio's catalogue on a dedicated channel, with ads accompanying the video to provide revenue share. "Lions Gate is the next interesting example of (a company) trying to get the people who are fans on the Internet and monetize it," said Google Chief Executive Eric Schmidt. Google execs also confirmed the company is in talks with other Hollywood studios to mimic the Lions Gate deal, though made it clear they do not include Viacom, which hardly comes as a surprise.